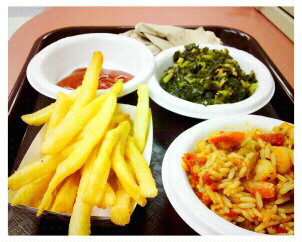 Jambalaya, collard greens, and french fries. For hospital food, it was pretty good. Now it has me in the mood for indulgent food. How will you be celebrating today?